Everyone has heard about the entertainers who went to Vietnam. Bob Hope came every year to do a “Christmas” show. Others such as John Wayne would show up from time to time. However, the one “entertainer” who would do shows from time to time showed up for periods of four to six months at a time. She showed up at such places as: Nha Trang, Saigon, Vung Tau, Doc Hoa, Kontum, Ap Bac, LZ Center AKA Hill 348, on board the USS Stormmes and Special Forces Camps everywhere. This special “Lady” was Martha Raye. Martha was born August 27, 1916 and died October 14, 1994. 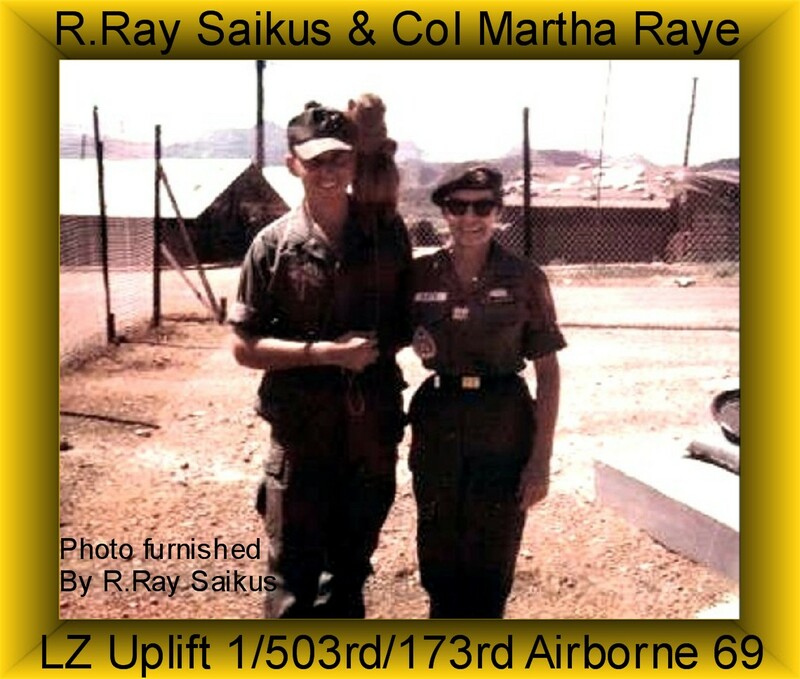 She is the only woman buried in the Special Forces section of the cemetery at Fort Bragg, N.C.. Martha was an Honorary Member of the Green Berets and was granted the Honorary rank of LTC (Lieutenant Colonel) by President Lyndon Johnson. President Clinton presented Martha Raye with the “Presidential Medal of Freedom” in 1993. 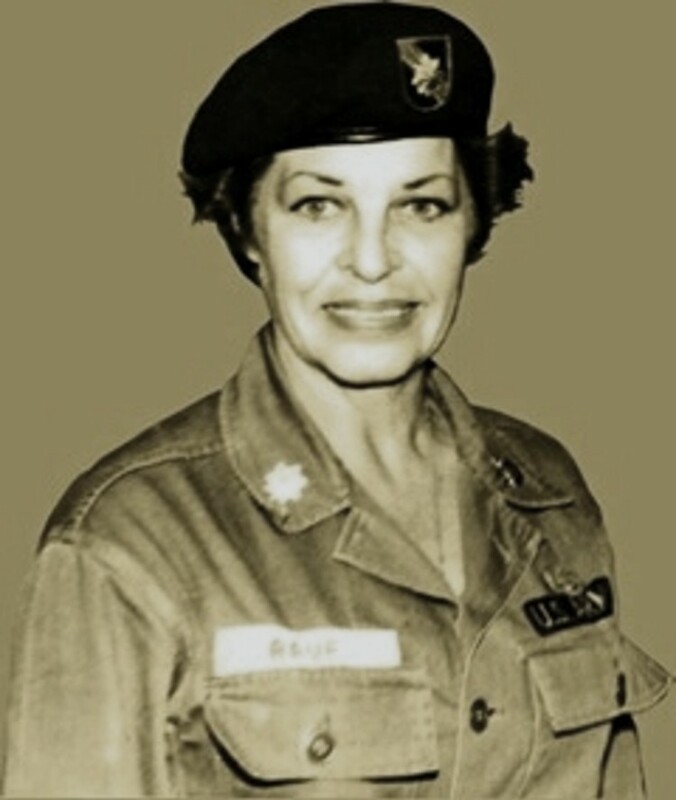 Martha Raye was a Nurse. The story relates how Colonel Maggie,who was also a trained RN before going into the entertainment field, went to entertain and visit a very small Special Forces camp. (It could have been at Soc Trang, around the early part of 1967.) I was told that she and some clarinet player, had gone to the camp to entertain, but while they were there the NVA attacked the camp. Mortar rounds and small arms fire were incoming. It appeared that there was a full-scale assault on the base camp. It was uncertain if the camp would be able to hold off the assault.. The camp medic was hit, and so with her being a nurse, she took over and began to assist with the treatment of the wounded who kept pouring into the aid station. There are many websites about LTC Maggie. here are two that are really great at telling you just who she was: www.war-veteran.org and www.vietnaexp.com/morestories/MarthaRaye.htm . still brings tears. And they ain’t tears of shame! No matter how much crap seems to make the news, I always think that God blessed us with her, and she represented all that was worth fighting for.